Cultivate a threshold state between wakefulness and sleep with a practice of gentle stretching, pranayama and a form of guided meditation. Peace, calm and a deep intention for your destiny is the result. 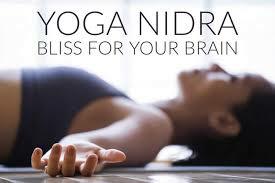 Yoga Nidra is a beautiful and ancient practice of complete physical, mental and emotional relaxation while still maintaining awareness at the deeper levels. This practice takes you deep inside to a threshold state, a state in which you are very receptive and connected to your intuition. It enables you to find answers within to your problems and concerns. It increases creativity and inspiration and enables you to live a peaceful and meaningful life.